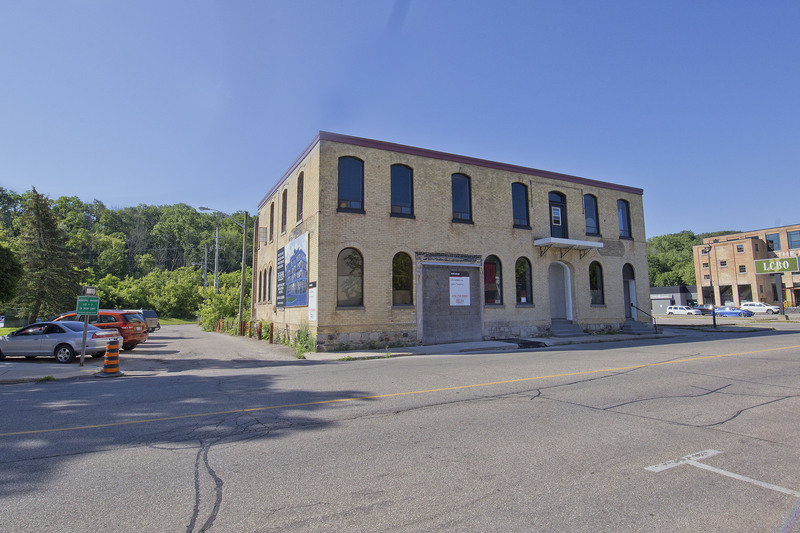 A prime site in the riverside downtown of Paris, Ontario, will soon become the site of a luxury four-storey condominium redevelopment project featuring commercial space. 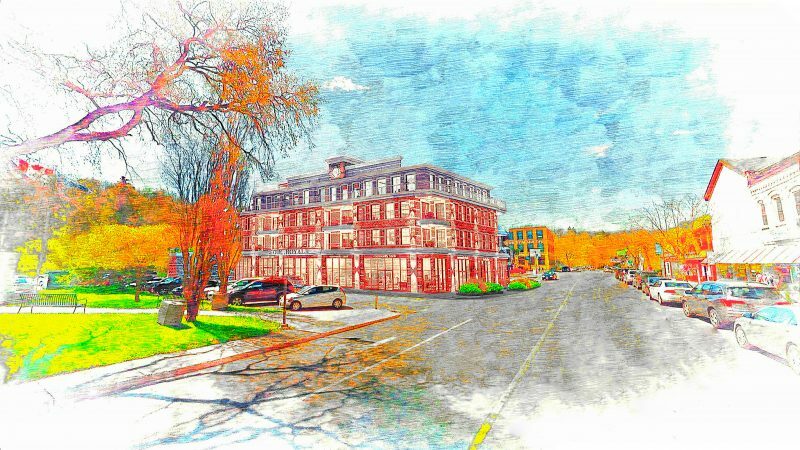 ‘The Royal,’ located at 11 Mechanic St., is set for initial construction stages to begin later this year and will be overseen by Lanca Contracting Ltd. at the former New Royal Hotel site along the Nith River. The former hotel dates back to the mid-19th century, but has long been vacant, and has been in a state of deterioration and disrepair since the late 70’s. Located near the confluence of the Nith and Grand rivers, the site at the heart of the southern Ontario town of Paris, which has a population of just over 10,000 people. Replacing the former hotel, the new condominiums planned for the site —which is owned by a local developer Bill Kennedy — will feature private terraces, private elevator access, and a roof-top garden and patio space, with relatively high-end finishes planned. “My goal is to make our community a highly desired living space. A space that makes convenience to amenities in a picturesque living core a certainty,” said Kennedy during an interview about his initial plans for the site with the Brantford Expositor in 2014. “I’m driven simply by its presence in the community,” he added. A sales centre for The Royal will be opening at 3 Elm St. in Paris on October 20, 2017, for those interested in purchasing commercial or residential space in the planned development. A VIP Event is being organized for late October and will take place at Salt & Pepper in Brantford, presented by Broker/Owner Jason Tangorra from Royal Lepage Brant Realty. 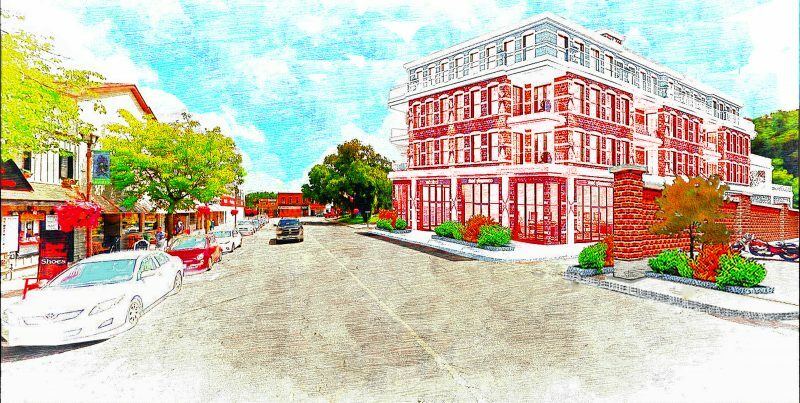 Some current partners in the development of ‘The Royal’ are Salt & Pepper, Marks Wholesale, Gerrie Electric, Avenue Lighting, Imagine Marble, Simpson’s Flooring, Octopus Red Marketing & Design, Lanca Construction Ltd. and Royal Lepage Brant Realty.